According to reports, Apple is working on three separate iPhone models for release later on this year. These will act as successors to the iPhone XR, iPhone XS, and iPhone XS Max and, if new information obtained by Droid Shout is anything to go by, the 2019 trio could cost the same as the current-gen models in the US. If true, the iPhone XR (2019) will cost consumers $749 while the iPhone XI should retail at $999. Similarly, the iPhone XI Max, or whatever the device ends up being called, looks set to start at $1,099. Over the past few months, Apple has faced declining iPhone sales across the globe, something that has largely been attributed to the company’s high prices. Over in the US, however, it seems iPhone sales have remained largely unaffected – Apple’s iPhone installed base is up to 189 million users – so the decision to maintain the same price points certainly isn’t surprising. Naturally, because Apple’s 2019 iPhone series is still over 6 months away, pricing could still easily be changed prior to launch. Similarly, it’s worth noting that the cost of the models internationally is likely to be lowered. After all, Apple recently announced that it would begin reducing its prices in certain markets in order to boost sales. As to what can be expected from the new models, Droid Shout corroborates previous rumors by stating that the iPhone XI and iPhone XI Max will make use of OLED displays complete with smaller notches. The iPhone XR’s successor, on the other hand, will feature an LCD panel once again. According to today’s report, though, there’s a possibility that its notch won’t be any smaller. Like the current-gen model, the 2019 iPhone XR will also be available in a wide range of colors. However, one of this is allegedly being scrapped in favor of a new green option. 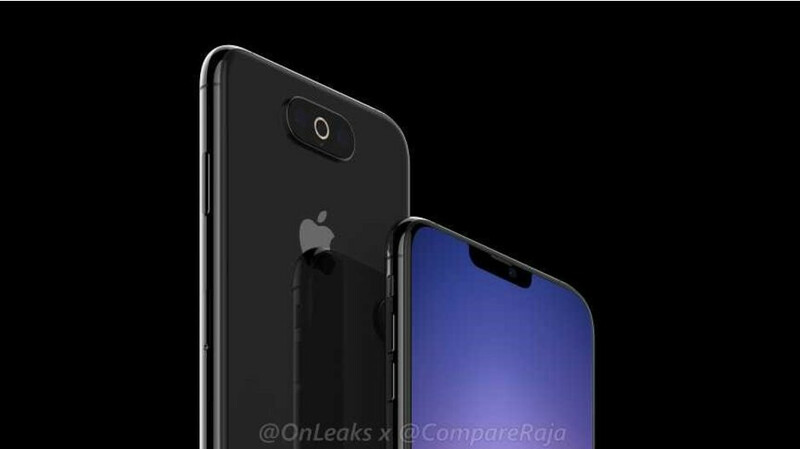 Lastly, the 2019 iPhone models are said to include a new polished coating which will improve grip. Droid Shout also claims that prototypes with USB-C ports are currently in testing, although the Lightning port could still be retained. The report also points towards dual-camera setups on the iPhone XR (2019) and iPhone XI, while the iPhone XI Max should feature three rear sensors. Apple’s 2019 iPhones should land in September alongside a next-gen Apple Watch. Prior to this, the Silicon Valley-based firm is expected to announce updated AirPods, an all-new iPod Touch, the iPad Mini 5 and iPad (2019) and, of course, the AirPower charging mat. Not a surprise, if done. They keep it at the same price because their phones aren’t selling well. If so, the prices would even increase further. Why wouldn't they buy best or among best phone in the market? There's no product like that in the market, if there would, everyone would buy it. That's why you buy overall product, can't get everything. Screen is best, camera is in top 3, design is very good, usability is great and so on. They can't reverse their pricing anymore. People who bought their last year models will feel getting ripped-off. That is one of the reasons chinese phones are hot items today, they only do small increase from their previous models. They reversed their pricing for consumers in China to try and generate sales. When sales in North America drop further maybe apple will do the same here. Of course they won't, because the price isn't the problem. Little bit cheaper device wouldn't have much difference in sales. People need reason to upgrade and then we will pay the price. Both my X and iPad Pro 10,5" are currently too good to upgrade. Even paying $200-$300 less wouldn't get me upgrading. how come people feel the need to say exactly what ipad or iphone they have? 10.5, 9.7? who cares, just say my iphone and ipad. nobody cares that you have the 10.5 or a 9.7. Because i would upgrade from earlier models, just like i did. But from these models i don't see reason to upgrade and that's the point, difference in price wouldn't change it. i get that, alot of people also feel the need to include their storage amount too. doesnt make sense, trying to show off that they bought the pricier model? It's not that Apple doesn't wants lower price. It's they can't. Same with others Samsung, Huawei, LG, Sony. They release newer model with lower price tags and investors won't be happy and stock price will have a big dip. Apple still make quite profit, even with slow sale so these pricing tack it will not going anytime soon. The only way OEM change the way it pricing is we only need 30% down in sale which you call recession and I don't see that happen. I would love apple to stick with its pricing. Well most people will buy last year’s iphone while im buying the newest one. Apple never played the "price game" (discounts, offers etc); they are smart enough to see that anyone that plays it looses. The price of the devices - any devices - is not a problem as long as the user gets what he expects for. That's true if you ignore all the price cuts apple did this year. Well, there is some logic in it... If people are not willing to upgrade this year('s model), they will (most probably) have to upgrade next year. So, since so many is already in Apple's eco-system, they don't have other choice but to buy another iphone, no matter the price. Apple just need to wait, they need to be consistent, and patient...."If you build it, they will come"!! !